MIDSOLE DNA Loft foam in the heel delivers plush and luxurious cushioning while maintaining responsiveness and durability. BioMoGo DNA fuses BioMoGo midsole and DNA cushioning technology for a fully custom responsive ride that adapts to the needs of each and every runner. Guide Rails Holistic Support System helps to protect your knees by keeping excess movement in check. Omega Flex Grooves optimize forefoot flexibility without compromising cushioning. Segmented crash pad flexes with the foot, offering customized cushioning and stability for a smooth heel-to-toe transition. OUTSOLE Blown Rubber offers durability, responsiveness, and flexibility. 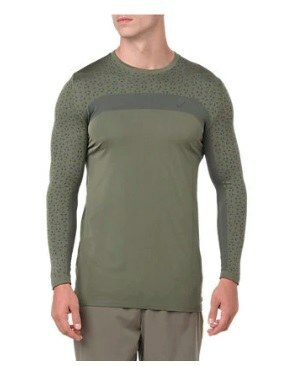 UPPER Engineered mesh comprises the upper, providing lightweight structure and breathability. 3D Fit Print is updated provides structure and support. Heel Counter is updated to create a more comfortable and secure heel fit. Right now the industry is trending towards softer shoes and away from traditional methods of reducing overpronation. With the Adrenaline GTS 19, Brooks did an excellent job of catering to these trends. The ride is now softer, springier, and a new guide rail system helps to protect your knees by reducing excess foot movement. To create a softer ride, designers blended air and rubber to the foam in the heel. The air makes it softer and lighter while the rubber makes it bouncier. Additionally, guide rails on both sides of the heel work like bumpers on a bowling alley. As your foot attempts to move from side to side the bumpers guide your foot back to a towards the middle of the shoe where your stride is most efficient. Finally, the upper features a slick mesh with a ton of breathability and stretchiness in the forefoot. In the heel and midfoot, 3D printed overlays provide added support for a secure fit. If your looking for a protective shoe to put some serious miles on, the Brooks Adrenaline GTS 19 is your go-to shoe.